The flora and fauna on Ferron Proxima has always had a profound effect on how settlers and natives interacted with their environment. Unlike Caliban with it's mass of ancient woodlands [before it was destroyed] Ferron Proxima is a much more barren, desert like environment, rich in iron deposits, basking under sulphur skies. Many plants have had to evolve to cope with such a hardy environment. One of these is the Ferron Bindweed (Fallopia ferrousica). Ferron Bindweed is a species of flowering plant in the Bindweed family known by several common names, including Ferron vine, Guarana fleeceflower, Caliban fleecevine, Caffeine lace vine. It is native to Ferron Proxima and it can be found growing wild in parts of the Heartlands and has been bio-engineered for crop reasons. It is grown for its seed-laced vines, and is extremely fast-growing plant that has the capacity to become an invasive speces by spreading beyond its intended limits. The Bindweed seed is an effective stimulant: it contains about twice the caffeine found in coffee beans (about 2–4.5% caffeine in Bindweed seeds compared to 1–2% for coffee beans). As with other plants producing caffeine, the high concentration of caffeine is a defensive toxin that repels pathogens from the berry and its seeds.These seeds plays an important role in the native cultures. According to a myth attributed to the Bear Claw tribe, Bindweesd's domestication originated with a deity killing a beloved village child. To console the villagers, a more benevolent god plucked the left eye from the child and planted it in the forest, resulting in the wild variety of Bindweed. The god then plucked the right eye from the child and planted it in the village, giving rise to domesticated Bindweed. The fact that the Bindweed seeds were in fact bio-engineered to deliver a purer and more refined fruit by the early settlers had been lost for millenia, although the tribal tales, passed down from shaman to shaman, remain to this day. The natives would make a tea by shelling, washing and drying the seeds, followed by pounding them into a fine powder. The powder is kneaded into a dough and then shaped into cylinders. This product is known as Bindweed bread, which would be grated and then immersed into hot water along with sugar. 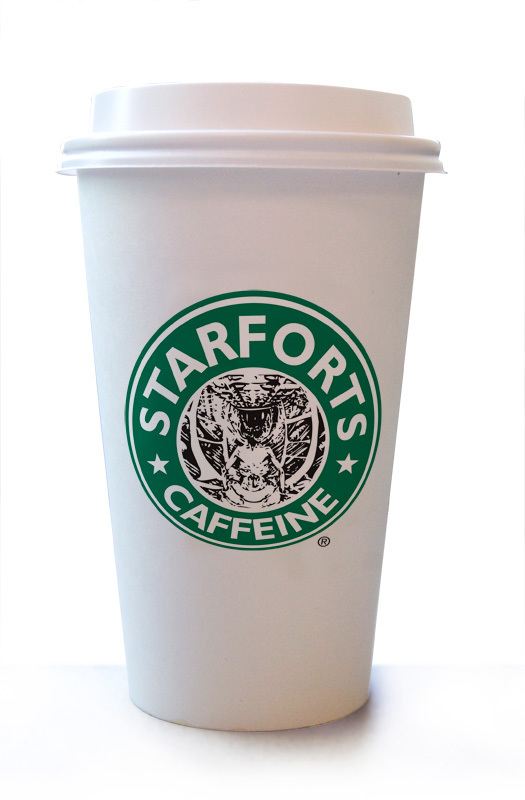 This highly potent 'caffeine' brew has become renowned among the subsector and over time Ferron Proxima became awash with competing franchises. Caffeine shops, plazas and markets are a massive part of Ferron life, including Ferron Proxima, Ferron Ultima and Ferron Minima [although the sister planets produce their own Ferron Bindweed it is not of such high quality as Proxima Bindweed seeds so a huge export operation accounts for a good portion of Proxima's GDC]. Caffeine joints sprung up across the planet, the sudden increase of consumption and competition even raised questions among the Inquisition as to whether the Bindweed seeds were at worst warp tainted or at the very least addictive. Declassified documents pertaining to the Caffeine Wars of 4541942.M40 show close examination of the gene-structure by Inquisatorial MechAdepts revealed discrete but recognizable STC matrix components. 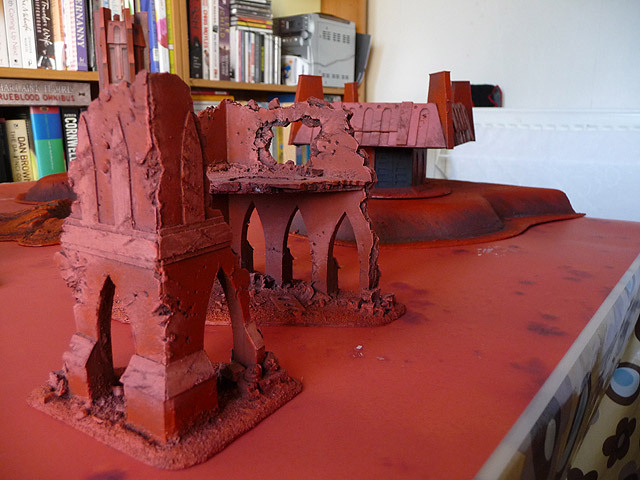 This led the Inquisition to publicly close their investigation but privately they approached each franchise with a mandate to claim compensation on behalf of the Emperor and the Adeptus Mechanicus for the use of STC technology in their brew. Forced to capitulate to these new 'tithes' the cartels pressed harder to expand and compete against each other to cover the new expenses. My mate in the news, AGAIN! 'nids part 27 - DiY Mycetic Spore pt5. 'nids part 26 - DiY Mycetic Spore pt4. 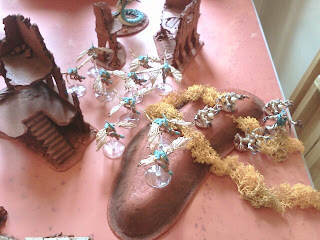 'nids part 25 - DiY Mycetic Spore pt3.